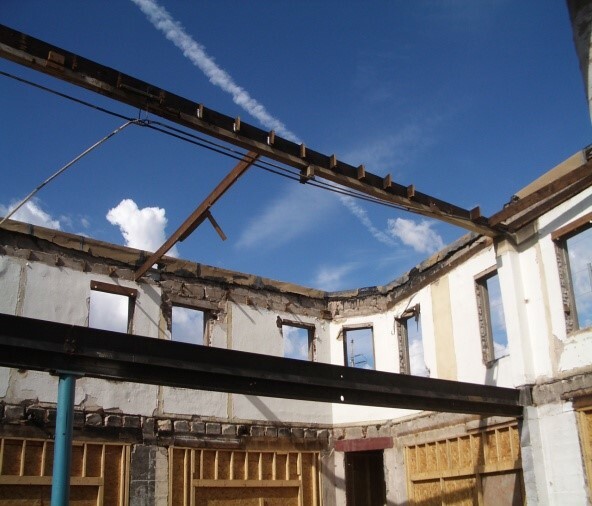 Structural design and construction documents for the renovation/reconstruction of approximately 5,100 square feet of an existing historic commercial building. Design and detailing of new structure to keep existing south and west walls intact for historic look of building. Building had to receive approval from the Santa Fe Historic review board. Reconstruction of entire interior of building and north and east walls. New construction consists of steel columns, beams, steel roof joists, wood floor joists, metal and concrete deck and CMU walls.